Description: In its foreground, this image depicts two segments of a Florida avocado that had been cut from a fresh whole fruit. 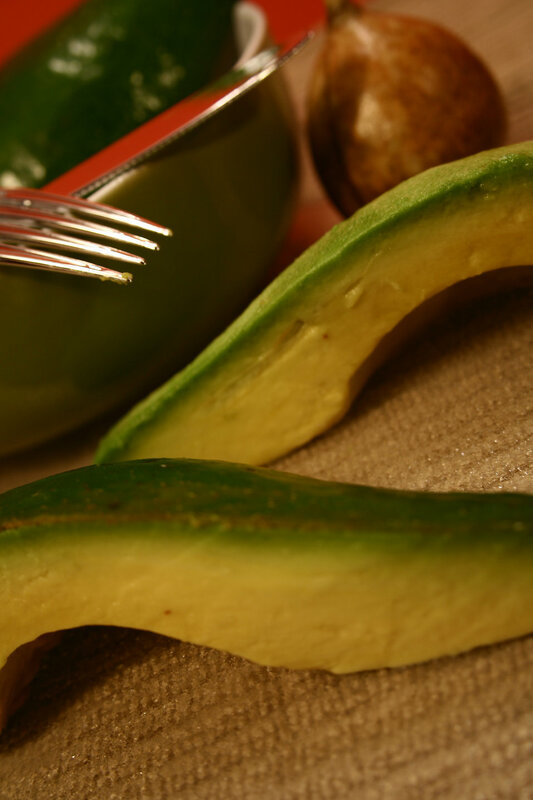 In the background, a whole avocado can be seen contained inside a stainless steel bowl. Also in the background, you can also see a pomegranate. The two cut sections still wore their sturdy bright green skins, which encased a bright yellow interior fruit, and just inside the outer skin, you'll note a bright green color to the interior fruit.